Origin Native to Eastern Asia: China, Korea and Japan. It is sophisticated in the South and Central China, Korea, Far East of Russia, Vietnam, Southern Japan, Thailand and India. It is cultivated in minor range in Indonesia, Middle Asia and Philippines. Currently, it is cultivated in New Zealand, Australia, California, France and Italy. Asian Pear is the member of the genus Pyrus L. in the family Rosaceae which includes pears and apples. Pyrus pyrifolia is also called Asian Pear, Chinese Pear, Apple Pear, Japanese Pear, Korean Pear, Nashi Pear, Nashi, Sand Pear, Oriental Pear, sandpäron and Taiwanese pear. It is a small to medium sized deciduous tree which has a pome fruit with pale dots and has brown or yellow, reddish-brown color. It has attractive white flowers. 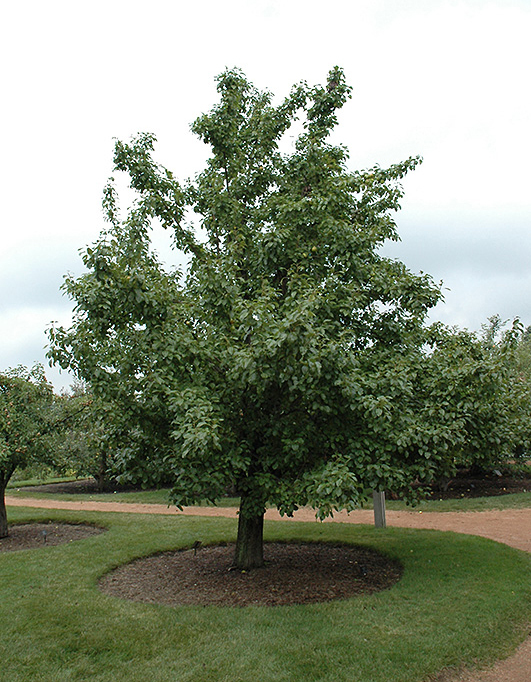 The tree of Asian pear grows in a temperate climate and prefers deep, well-drained soils. 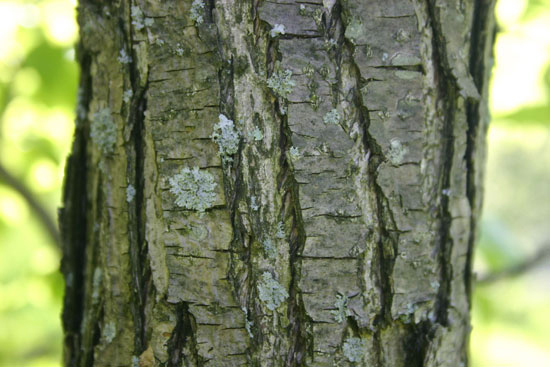 The branchlets are terete, purplish brown when young which turns to dark brown when matured. 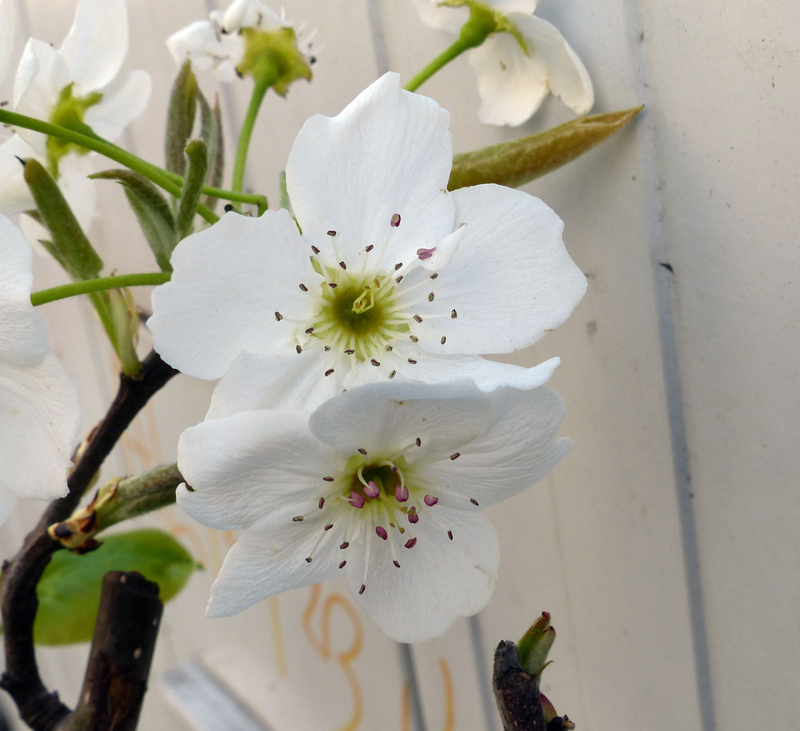 Some common varieties of Asian pear are: Korean Giant, Ichiban, Nijisseiki, Shinseiki, Seuri, Yoinashi and Shinsui. 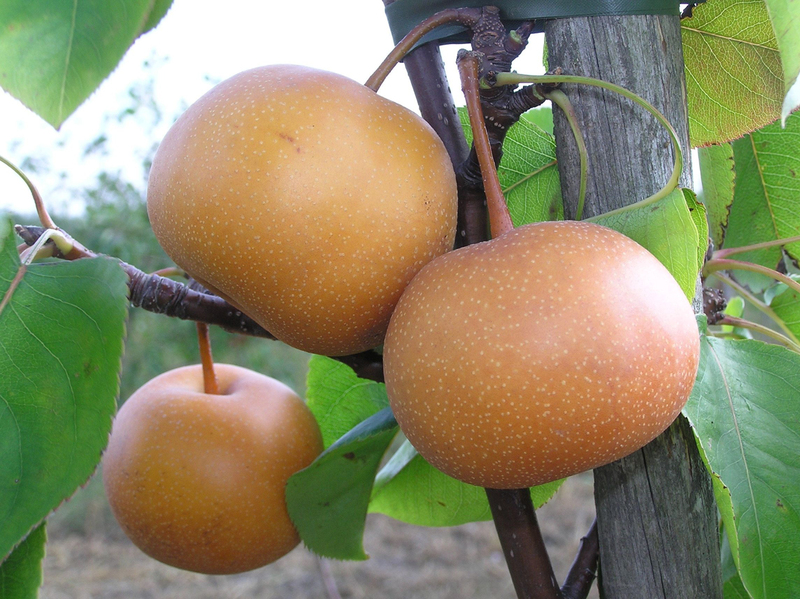 Asian pears are native to Eastern Asia: China, Korea and Japan. It is sophisticated in the South and Central China, Korea, Far East of Russia, Vietnam, Southern Japan, Thailand and India. It is cultivated in minor range in Indonesia, Middle Asia and Philippines. Currently, it is cultivated in New Zealand, Australia, California, France and Italy. In East Asia, the flowers are considered as the symbol of early spring which is commonly found in the countryside and gardens. Asian pear was cultivated for above 2000 years in China. Above 3000 cultivars was cultivated there. In the 8th century, it was cultivated in Japan. It was grown for about 200 years in America. It is also used as ornamental plant. 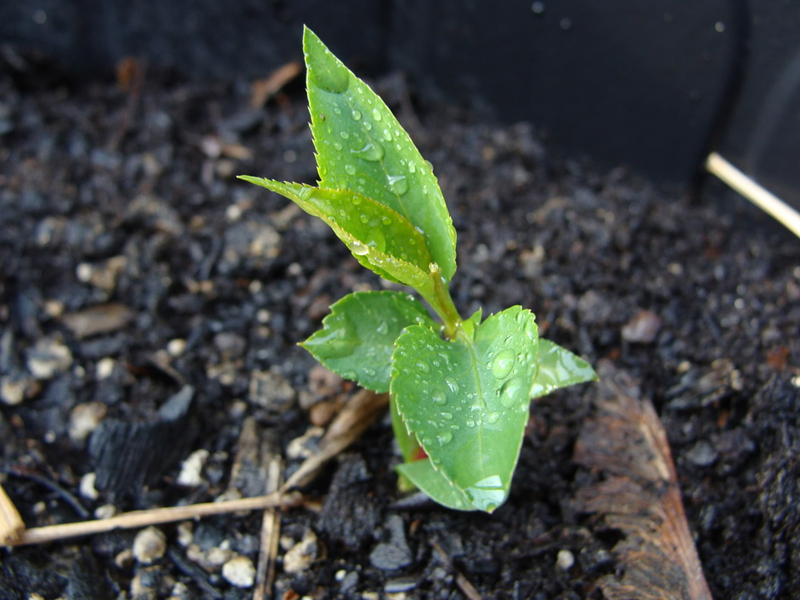 Today, it is grown commercially in USA such as Oregon, California, Kentucky, Washington State and Alabama. 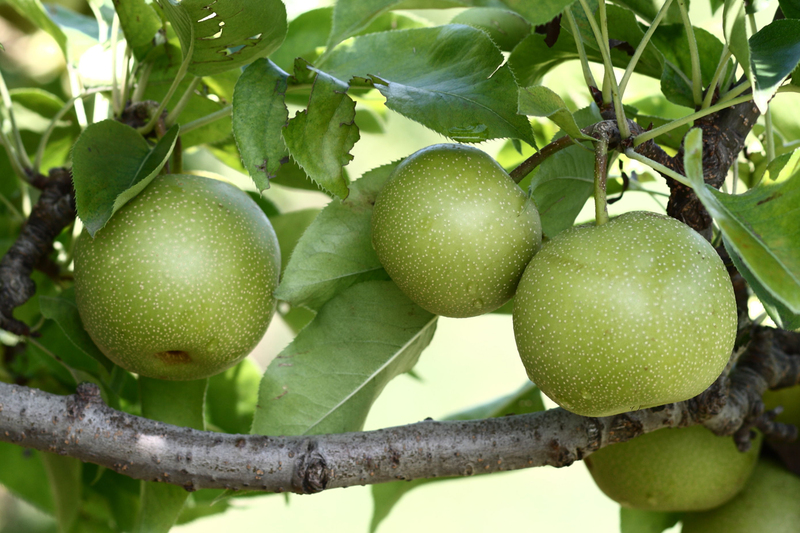 In Japan, Asian pears were cultivated for more than 3000 years. Chinese sand pear arrived to New York (Flushing) in 1820. It was arrived with Japanese and Chinese immigrants to the west in 1850’s. Oregon and California are known as the highest producer of Asian pears. About hundreds of varieties are grown there. The tree grows to 7-15 m height. The fruit is a pome which is 5-8 cm in diameter, pyriform-subglobose and subglabrous. The fruit is brown or yellow, reddish-brown with pale dots. The flesh is creamy white, hard, grainy, crispy and watery. The outer skin is smooth and rough. 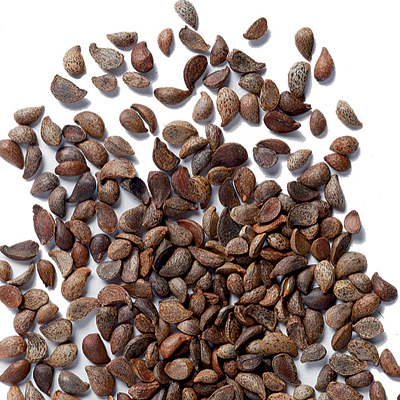 Each fruit contains small and black seeds. 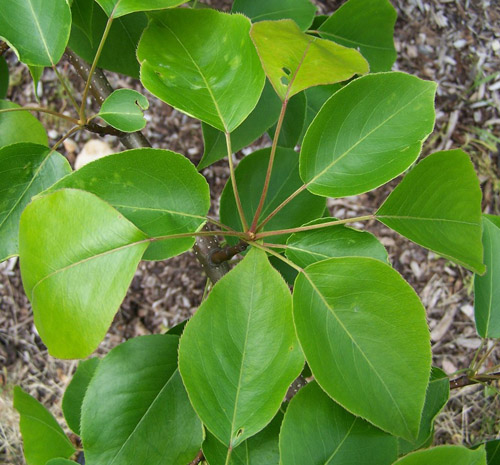 The leaves are alternately arranged, ovate to elliptic or ovate, 7–12 × 4–6.5 cm, glabrous, base rounded or subcordate. The flowers produced in mid spring are hermaphrodite, white and 2.5-3.5 cm across. The sepals are triangular to ovate and 5 mm. Petals are white, ovate of 1.5-1.7 cm size. Asian fruit is an excellent source of dietary fiber and has low amount of fat and calories. 100 grams of Asian pear provides just 42 calories, 0.23 grams of fat and 3.6 grams of dietary fiber. 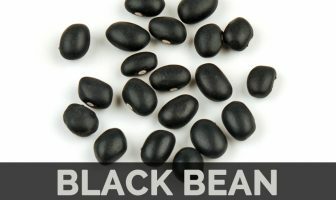 It is also packed with vitamins, minerals such as potassium, folate, magnesium, vitamin K and C. It provides 9.47% of dietary fiber, 8.19% of carbohydrate, 5.56% of copper, 4.22% of vitamin C, 3.75% of Vitamin K, 2.61% of manganese, 2.57% of potassium and 2% of Vitamin B9. Asian pears are similar to Apples. The fruits are low in calories, high in fiber and contain micronutrients which are essential for bone, blood and cardiovascular health. Asian pears are less fruit, rounder and grainier and loaded with various amounts of nutrients that provide various health benefits. The fruits are added to soups, slaws, sandwiches and salads. It is loaded with various amounts of dietary fiber, minerals and vitamins which support health. Fiber plays a vital role in digestion. Insoluble fiber is essential as it provides bulk to stool. It speeds up the process of passing waste from the digestive tract that prevents bloating, constipation and indigestion. Soluble fiber promotes digestion by absorbing water to form a viscous and gelatinous substance which is fermented by bacteria. One should intake adequate fluids while taking diet rich in fiber. The research reveals that there is inverse relationship between systolic & diastolic blood pressure, triglycerides, cholesterol level and intake of insoluble fiber. Additionally, soluble fiber reduces the level of bad cholesterol by hindering the cholesterol absorption. Those who intake diet rich in fiber helps to lower the chances of heart disease, hypertension and metabolic syndrome. The studies show that the diet rich in fiber helps to prevent obesity. The intake of fiber has negative relationship with body fat and body weight. The dietary fiber helps to lower the weight by making it full for a long time. The intake of diet rich in fiber reduce the intake of overall food and also leads to low body weight. It reduces the toxin absorption and alters the secretion of gut hormones. The soluble fiber slows the digestion process and stabilizes the level of blood sugar. It enhances the sensitivity of insulin and controls the spikes of blood sugar as well as conditions such as diabetes. There is negative relationship between the dietary fiber and blood glucose levels. The intake of the diet rich in fiber prevents the resistance of insulin that is formed from the rise in glucose levels. The diet rich in fiber prevents the digestive ailments such as colon cancer, diverticulitis and inflammatory bowel disease. Prebiotic fiber enhances the function of immune system and maintains the health of intestines and colon. It clears the waste from digestive organs. Moreover, the diet rich in fiber lowers the chances of heart disease and cancer. It enhances immunity by changing the body’s responding ability to bacteria and acids. Asian pears are used in traditional Chinese medicine to regenerate body fluids, detoxify, dissolve mucus, relieve restlessness, promote urination, quench thirst, treat constipation, heal skin lesions, alleviate retina pain, lubricate the throat, promote overall skin health, heal hoarse throat and relieve cough. The Chinese herbalists use it to remove dark circles under eyes. 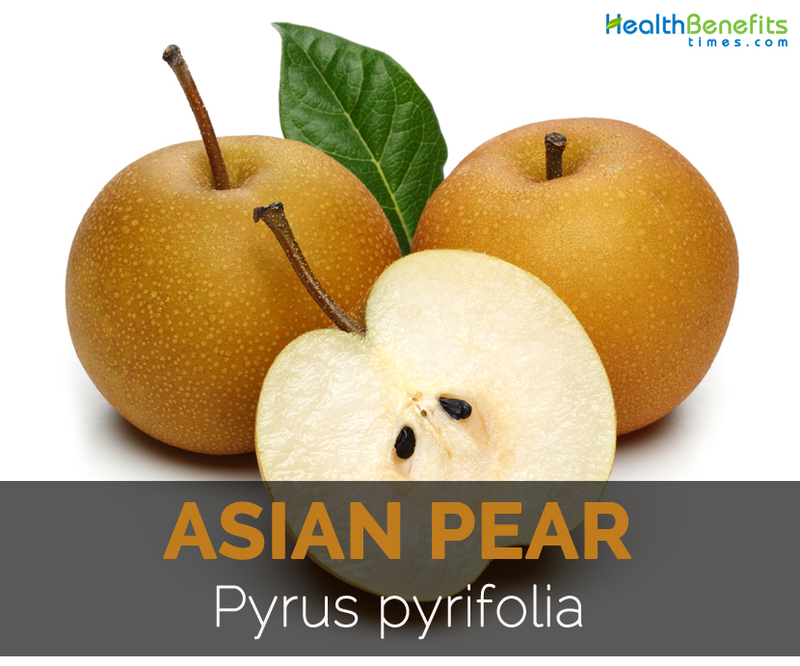 Asian pears are also used to treat coughs, laryngitis and sore throats. The fruit of Asian pear is consumed raw or added to fruit salads. The fruits are also cooked. Asian pear is also used to marinate beef. 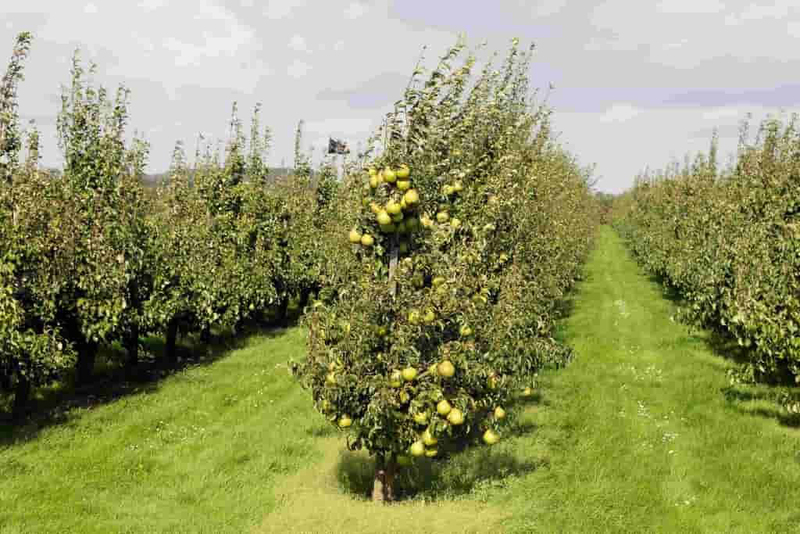 Nashi pears are used to make jams as they are rich in water content. The fruits are used in pies and also baked. 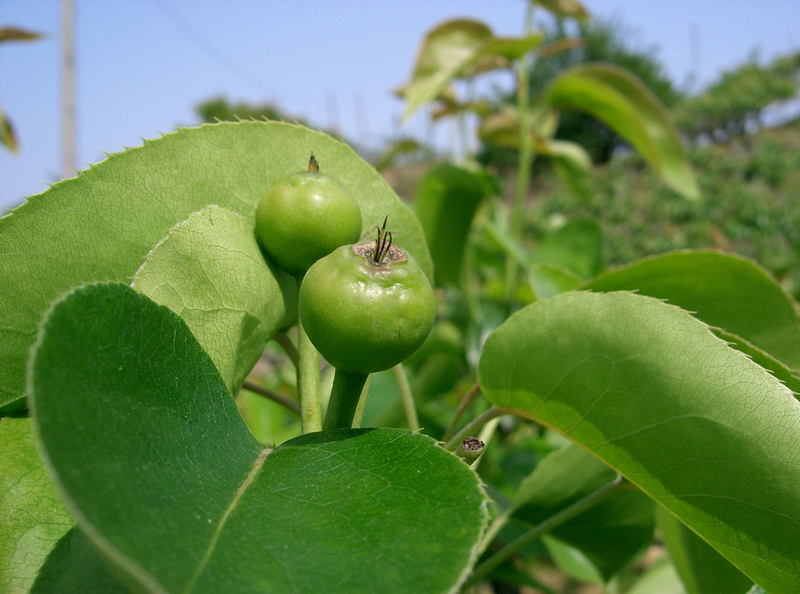 Asian pear is also used to prepare fruit juice, pie, jam and salad. It could be mixed with the other fruits such as peaches, pineapple, grapes etc. The dried slices of Asian pear are added to baby food. The baked or poached Asian pears are served with ice cream. 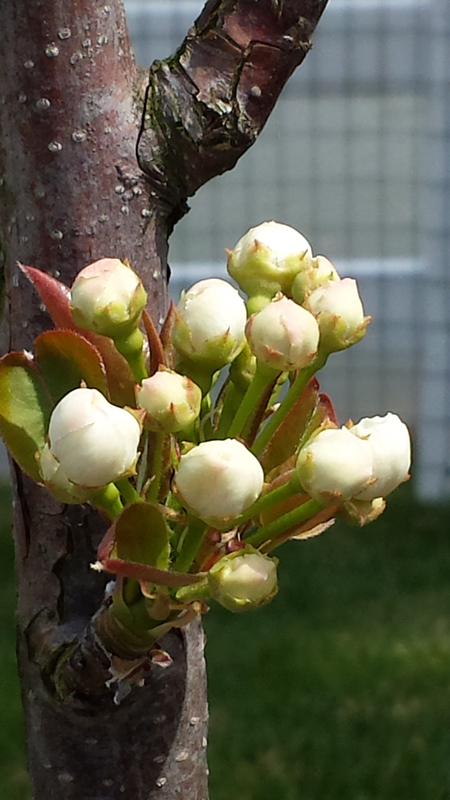 Asian pear belongs to the family of roses Rosaceae. The skin of the fruit speckled and light yellow, golden brown, green or cream colour. Asian pears are baked, poached, grilled and barbecued. In East Asia, the flower is a sign of spring. Asian pears bruise easily as it has high content of water. Asian pears have sufficient quantities of Vitamin C, Vitamin K, fiber and potassium. Calories 42 Kcal. Calories from Fat 2.07 Kcal.